Click Here for our new Garfield Dawgbotics Website with more details and Photos!! 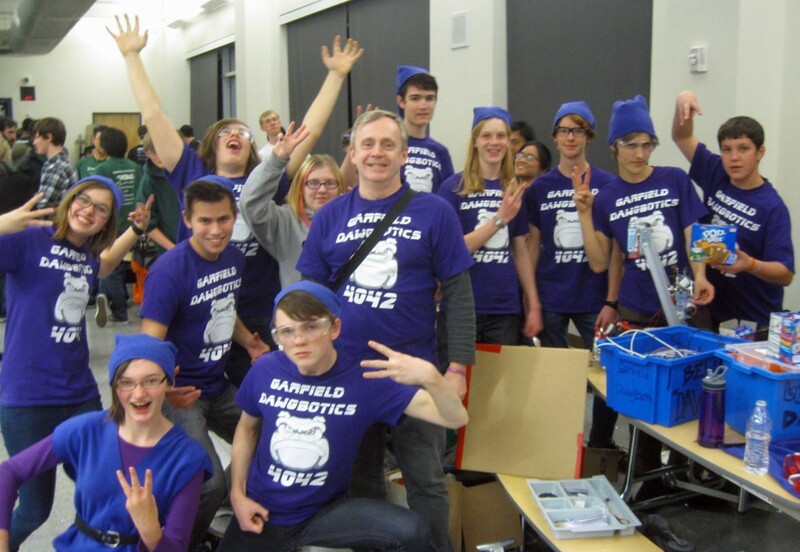 ABOUT: Garfield’s “Dawgbotics” FTC FIRST Robotics Team meets after-school on Tuesdays & Thursdays in room 115a with Mr. Fell and Mr. Bergquist. We have been building a Robot that has already won first place ranking in our first compeition. Stop by and check out what we are building. You can see this year’s contest here. 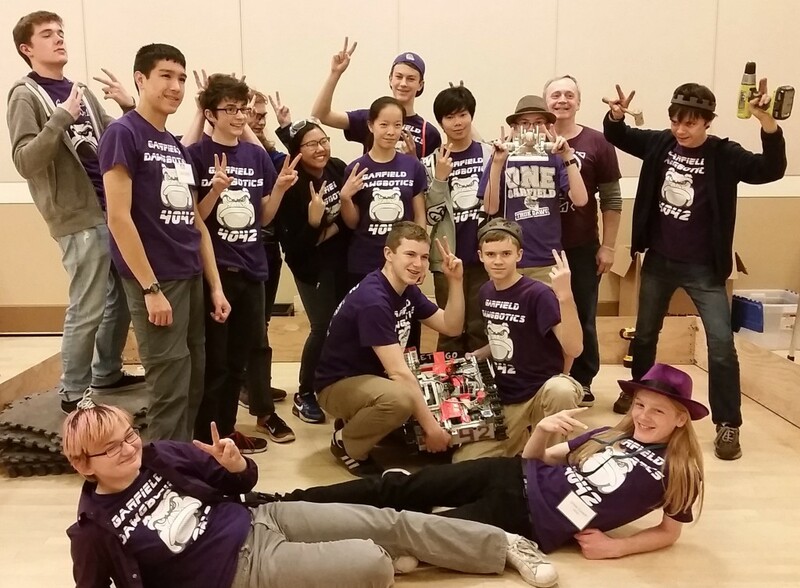 FTC League Competition (Nov 2015) this fall! Check out the photos here. http://www.modernroboticsinc.com/first-ftc – this is the website with lots of the hardware. That page has information on the two available kits. Information about the individual parts is available on the modern robotics website. Programmers could work on learning Java. If they figure that out, they could also work on Android Studio ( Videos, presentations and resources can be found at this cool Stanford Class’s page: CS193A . If they want to be adventurous they could learn git and bash. http://linuxcommand.org/lc3_learning_the_shell.php – very basic but really good and detailed bash tutorial. 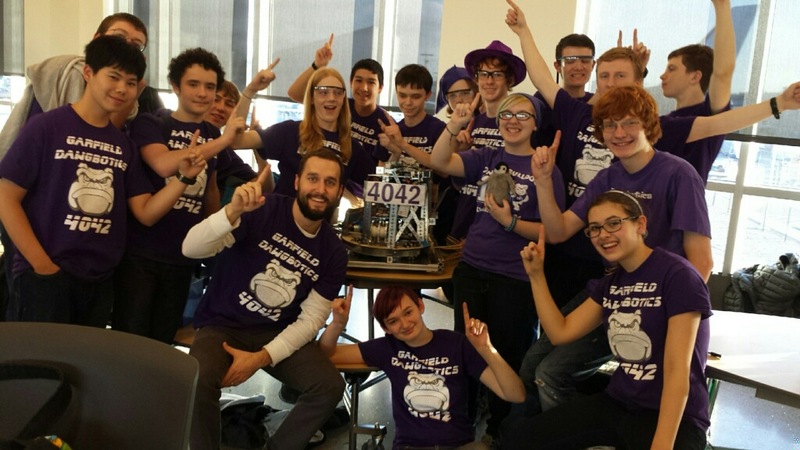 Garfield FIRST Robotics meet Mondays & Thursdays after school, in the Computer Science & Engineering rooms of 115. Our FIRST Robotics team has started up and we are working on this year’s robot! We do FIRST Technology Challenge or FTC and you can check out this year’s game “Cascade Effect” linked here. 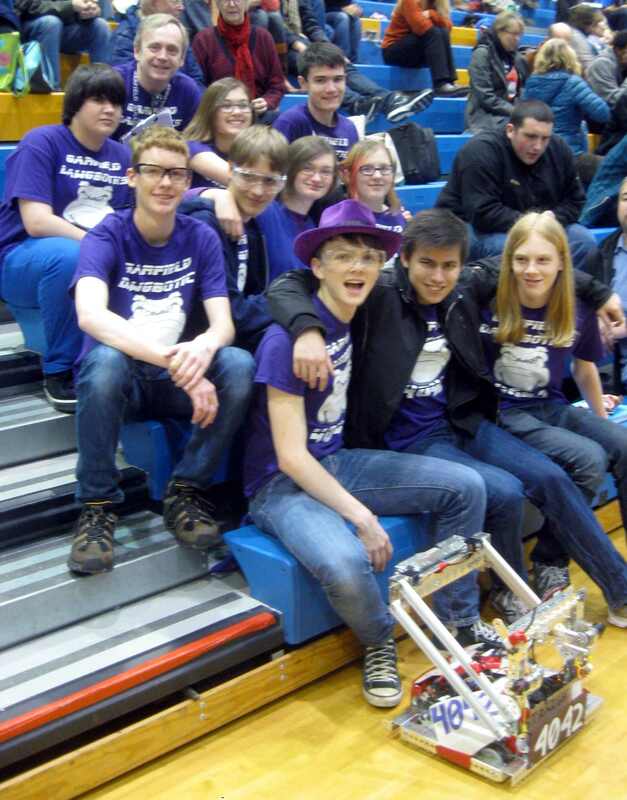 Details for this year’s local competitions can be found under FTC on the FirstWa.org website. More details to follow. Our mentors this year are Mr. Bergquist & Mr. Fell. Stop by and meet the team!! We hope next year will be as great as this one! Come check us out in the off season on Tuesdays in the computer lab. GO DAWGBOTS! !